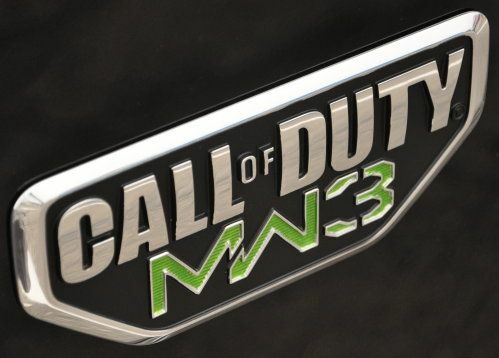 Toughen up your Jeep's look with a Call of Duty MW3 Edition Wrangler decal. This Call of Duty badge is designed for your fender and features a combination of brushed and high-gloss chrome, black and neon green. Each badge is sold individually, and two make a complete set. These 7-inch by 3.25-inch Jeep Call of Duty decal badges are self-adhesive and will create a permanent bond with any flat, clean and dry surface. Badge measures 7" x 3.25"